While I don't quite feel like this, I am never the less done with World of Warcraft. At least until the next expansion. I had fun working through all the new content with my main. I did every Cataclysm quest except for Uldum (I thought the desert was boring). I beat every Cataclysm dungeon on normal mode and almost every one on heroic mode. I didn't do any raiding, because at this point in my life I just don't care about raiding in the least. I made some alts and experienced the shattering of the old world. I took them through questlines and through low level dungeons, some of which were nicely re-done. My Paladin alt leveled solely via the dungeon finder after level 15 which was a new phenomenon for me. My Priest ran a lot of the new quest content to see how much had changed. It made me appreciate the tighter quest chains in the shattering. I had a good alt experience overall. 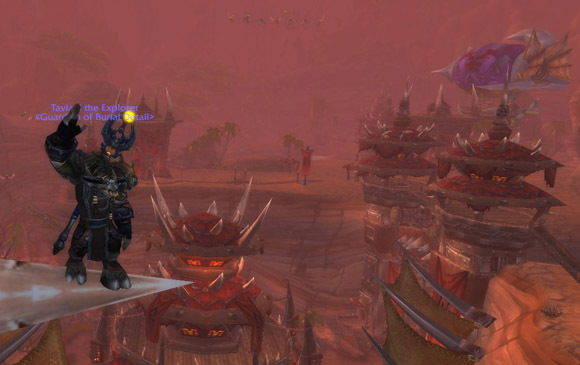 Despite the fun and the criticisms that I had in Cataclysm the main reason I'm done is that WoW is the same old game. There are new levels, zones, quests, and raids but the gameplay hasn't changed that much. I love a variety of experiences therefore I'm done devoting so much time to WoW. I'm branching back out and playing other games that I love again. Goodbye World of Warcraft, maybe I'll see you next expansion. Or maybe not. My officemate, who was only a month ago was telling me how much I'd love the new WoW, quit last week. A lot of people seem to be stopping this expansion far earlier than in past expansions. I've noticed that too. It's not that it's a bad expansion, but we've all played this game so many times before. It just doesn't have the same allure it used to. A big part of it is probably that the gameplay has remained basically the same since the game launched.